1 out of 4 people do not know they have diabetes. Diabetes causes more deaths a year than breast cancer and AIDS combined. Over 100 million Americans have diabetes or pre diabetes. Over 85% of people diagnosed with type 2 diabetes develop this condition due to obesity. Over $245 billion is spent annually on medical treatments and lost work and wages for people with diabetes. Over $150 billion is spent annually for people with obesity. Obesity-related conditions, including type 2 diabetes and heart disease, are some of the leading causes of preventable death in the U.S.
NDORI has secured the support and extensive academic, clinical and research expertise of the Cleveland Clinic’s Endocrinology & Metabolism Institute, ranked No. 3 in the nation for diabetes care by U.S. News & World Report. Nationally-renowned diabetes doctors and educators in the fields of diabetes and obesity from Cleveland Clinic’s Endocrinology & Metabolism Institute will work side by side with other renowned researchers and specialists at the NDORI. 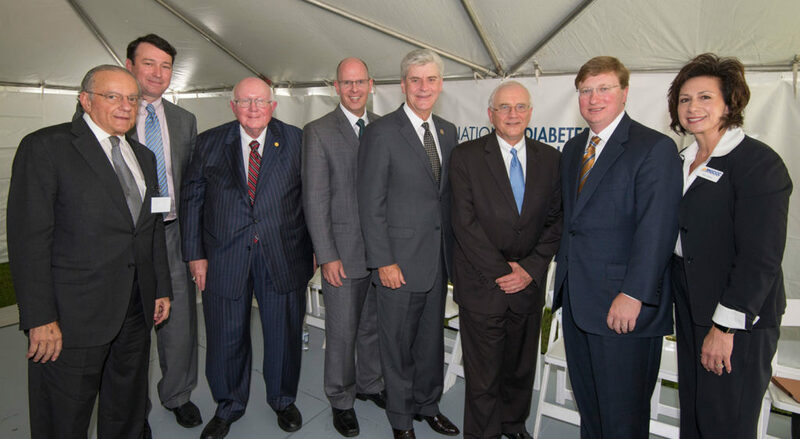 Valuable data will be gathered from Mississippi’s large pool of patients diagnosed with diabetes and obesity to develop treatment and education programs to be implemented nationally. To learn more about the Cleveland Clinic Endocrinology & Metabolism Institute, click here. To learn more or to make a donation in support of NDORI’s diabetes research, see the link below or call (228) 831-8764 to speak with one of our representatives.